The ICC Commission on Taxation has released a handbook to help taxation professionals keep pace with the latest developments in the world of international taxation. The handbook comprises ICC policy positions on taxation and information about the commission’s work programme, members and achievements. The ICC Commission on Taxation promotes transparent and non-discriminatory treatment of foreign investment and earnings that eliminates tax obstacles to cross-border business transactions. To date, hundreds of copies of the handbook have been made available to over 130 members as well as at major international taxation events around the world, increasing the visibility and accessibility of the important work the commission undertakes. To get a copy of the book please click here. For information on becoming a sponsor of the taxation handbook please contact Luz Rodriguez, Global Partnership Manager. 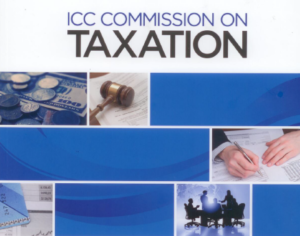 For more information visit the ICC Commission on Taxation.